Hi everyone and happy Sunday! We stayed up WAY too late last night watching the race, making t-shirts for a mud run we're doing next weekend, and playing with our new chickens.....that's right....we now have chickens....heehee! Too fun! I made this card for Deconstructed Sketch 49. The pink oval is up on foam tape and I added some sparkly Stickles to the cupcake icing and candle flame. Papers are Fine and Dandy Girl by My Mind's Eye. The stamped image and sentiment are from my Penny Black Critter Party clear set. 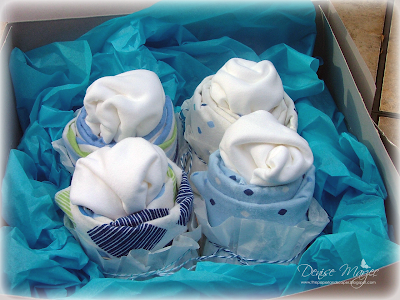 Meet Eeeny, Meeny, Miney, and Norm (Dan wanted to name one Norm)....lol! Hey there! 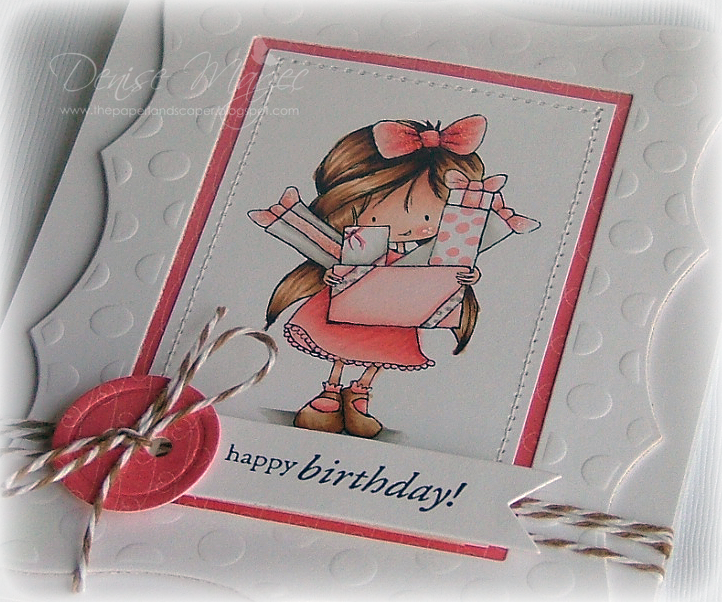 We'll be headed to the playground later this afternoon for a play date with some friends and two of the kids (twins) have a birthday this week so I'm taking this card along for them. 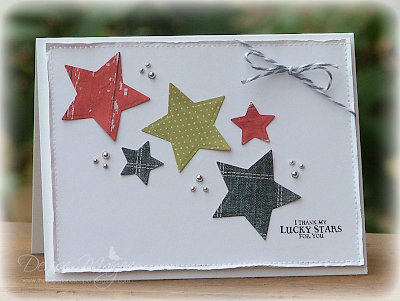 Papers are On The Bright Side-One, the stars were made with Spellbinders dies, the flag was cut with my MFT ribbon Die-namics, the sentiment is a Delta stamp that I picked up at Mike's or AC Moore, and the ric-rac is cut with another Die-namics die from MFT. All three stars are up on separate layers of foam tape and I added some quick machine stitching just to fill in that open area in the upper right-hand corner. 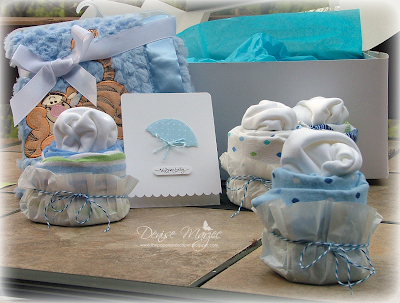 The card was inspired by Renee's "5 minute" baby card. I loved the simplicity of the umbrella and bow. ......and P.S.....what the hell is up with the new Blogger?....it's SOOOOOO hard to move pictures around now when writing up a post. Oye! 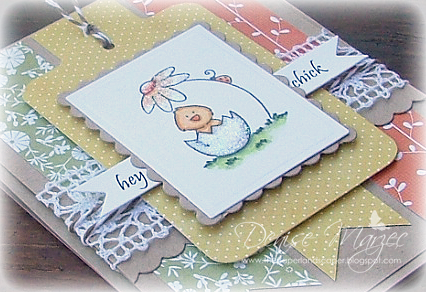 Yesterday morning I made this card with one of my new Wryn images. 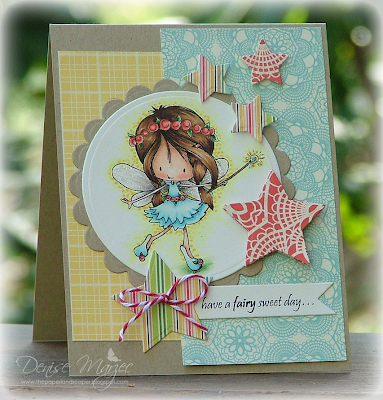 This one is called Fairy Wishes. Cute, huh? Hi everyone! By now you all probably know how much I love Wryn images from Tiddly Inks, right? (very much!) 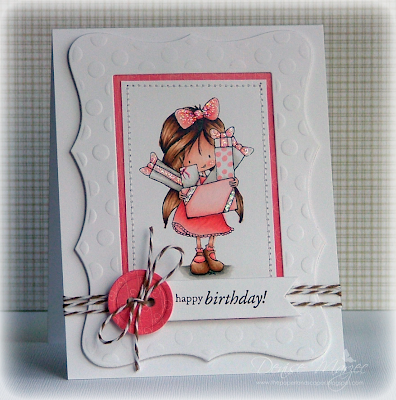 Well, I'm very excited to share a special card with you today to help celebrate Tiddly Inks' 2-year anniversary celebration! Thanks to Christy and Melissa for inviting me to join in on the fun! Be sure to check out the Tiddly Inks Challenge Blog and Christy's Blog for details. The theme for the celebration is "Frame the Moment" and I got to color up this sweet Wryn Birthday Girl image. She's colored with Copics (0, W1, W3, W5, E00, E11, E13, E27, E31, E35, E51, R000, R00, R11, R20, R22, R24) and Stickles were added to her hair bows and the bows/ribbon on the gifts. For the frame theme I added a frame of machine stitching, a frame of DP, and a large frame using my polka dot Frameabilities die by Spellbinders. The polka dot frame is up on foam tape and so is the flag sentiment/paper button. Thanks so much for stopping by, have a great day, and HAPPY ANNIVERSARY to Tiddly Inks! 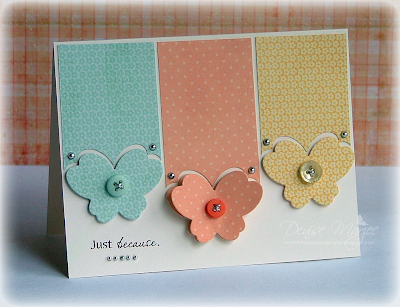 The stamp is by Elzybells and it's called Daisy Canopy. 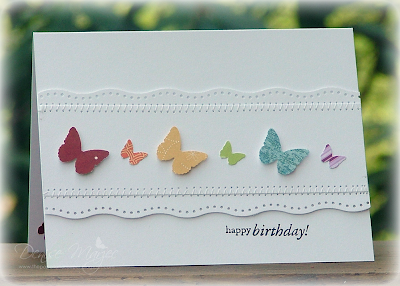 It was stamped on white CS with Memento Tuxedo Black and colored with Copics (W1, W3, G20, YG03, YG63, YG67, Y21, Y32, YR04, YR68, YR21, YR24). 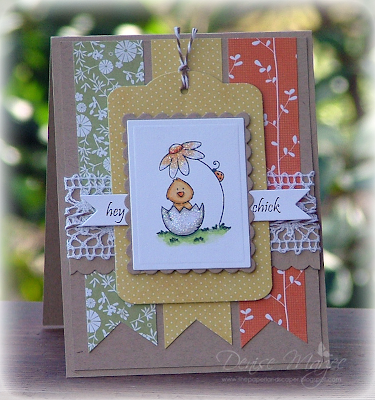 Stickles were added to the egg and daisy. The scallop kraft matting and the large yellow die-cut tag are up on separate layers of foam tape. The sentiment was made on the computer with Pristina font and then cut out with the ribbon diet. 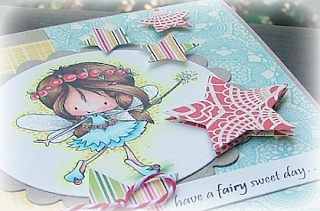 The tag and ribbon dies are MFT Die-namics and the rectangle/scallop rectangle are Spellbinders. Papers are On the Bright Side-One and On the Bright Side-Two. 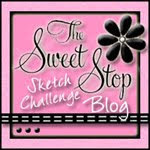 Thanks for stopping by and I hope to see you over at the challenge! Papers are Howdy Doody by My Mind's Eye and I added some PTI buttons with silver cord. Hello again. Here's another rainbow card. 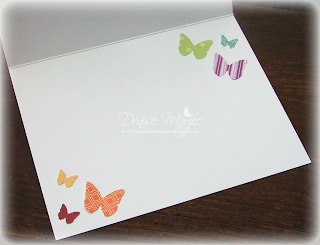 This time I went with a butterfly theme using one of my Martha Stewart butterfly punches. 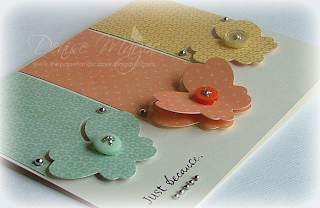 I'm really having fun playing with my dies and punches this week and making them the focus of my cards.